A crucial focus of my blog is to celebrate the beauty of film. The masterpieces which make goosebumps appear on our arms, force us to sob into our crumpled up tissues, and grin relentlessly. Admittedly, 2016 has been a truly disappointing year of film. That is, until the industry gradually started to get back on their game during the winter months. When you happen to immerse yourself in cinema, there is bound to be several rotten apples. But it is those you must dig through in order to sought out the utterly dazzling output the industry has to offer. Here are the very worst films of 2016, folks! Third time unlucky. And if this is argued to be the “best” of the three, then a lot can be said. Dan Brown conjures up a first-rate cast, but an unforgivable screenplay leaves the whole film in shreds. If you want to watch a bunch of children going on a treasure hunt, look no further than the beach, this instalment is all the more embarrassing. Bad execution makes for a waste of time, and talent. Bored cinema-goers continually checked their watches, only to find they had been watching for as little as half an hour. 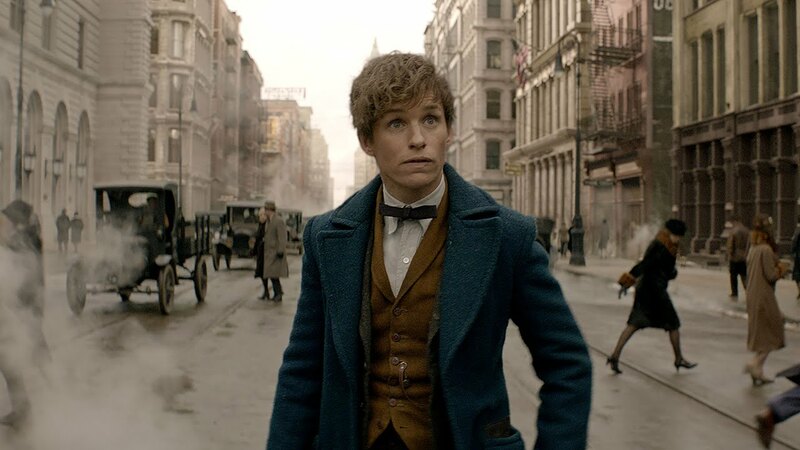 Fantastic Beasts and Where to Find Them suffers from defying any sense of ‘movie magic’, and what is striking is how bland the whole concept truly is. Played too safe, with too many beasts, each scene is overcrowded in an embarrassing attempt of cinema. Animation should be striving to be fresh, and fun…Think of the masterpieces that Pixar and Disney have brought to us over the years! 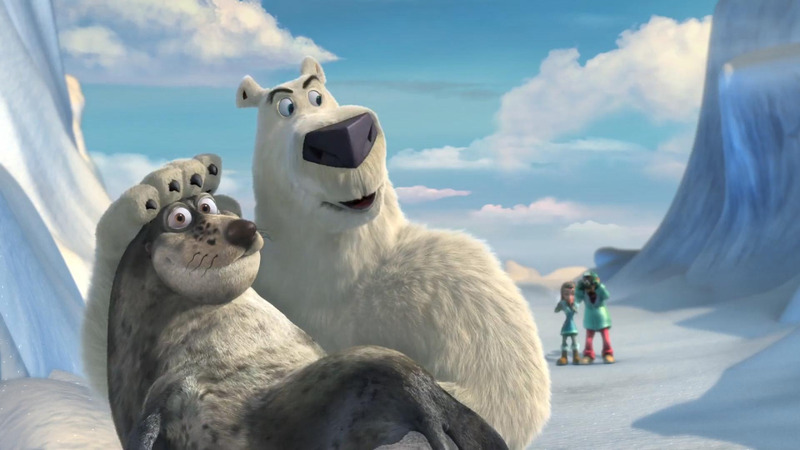 Norm of the North is an embarrassing addition to the genre, allowing for little laughs. Cheap and ugly animation, and if anything, rushed. Lazy script, dull characters…what happened to having fun? Almost 2 painful hours of your life you will never get back. It saddens me to say that this is the worst animated film I have ever seen. It can be assured that this is indeed more painful than ‘brain freeze’. Avoid at all costs. As Michael Caine rightly pronounces in The Prestige: “You want to be fooled.” Now you See Me didn’t fool a soul, but naturally a sequel was filmed. A money over masterpiece mindset was definitely present in the making of this movie. The characters felt awkward and forced. A few decent tricks, but nothing to quite scream “mesmerising” Contains such a talented, but wasted cast. What a shame. The question is, who exactly is the target audience for this film? Fans of Jane Austin or simply “The Walking Dead”? Either way, zombie enthusiasts will be disappointed that there is more Jane Austen. And similarly, Jane Austen fans will be equally as disappointed by the zombies and shocked by this second-rate piece of cinema. Just another messy interpretation of Pride and Prejudice. Even the 2005 adaptation was more superior, to say the least. It is a truth universally acknowledged, that this film should not have been made. As appetising as a snozzcumber, The BFG misses the mark not just in originality, but to be something every animated film should be; entertaining. When you take a look at Spielberg’s filmography, The BFG feels all the more underwhelming. It’s a tired old statement but this really is one that small, undemanding children will enjoy, much more than their parents. Has been executed much better. De Niro’s mid-life crisis came a little late. A comedy with truly bad taste that tries too hard to be funny. Ill-advised – shocking to think a film like this one can be funded, but that’s Hollywood for you. Completely out of control, and packed with Paedophilia, Bad Grandpa was an embarrassing experience for many. One you will never be able to erase from your brain, and if only we could. A pointless cash grab, and a clumsy move by De Niro. No amount of Zac Efron can save this. Yet another Disney classic that has suffered the live-action remake treatment. Nothing new is brought to the jungle, making this remake particularly flat. Not only is this film forgettable due to its overpowering amount of CGI, but simply because the 1967 version should not have been messed with in the first place. What an incoherent mess! 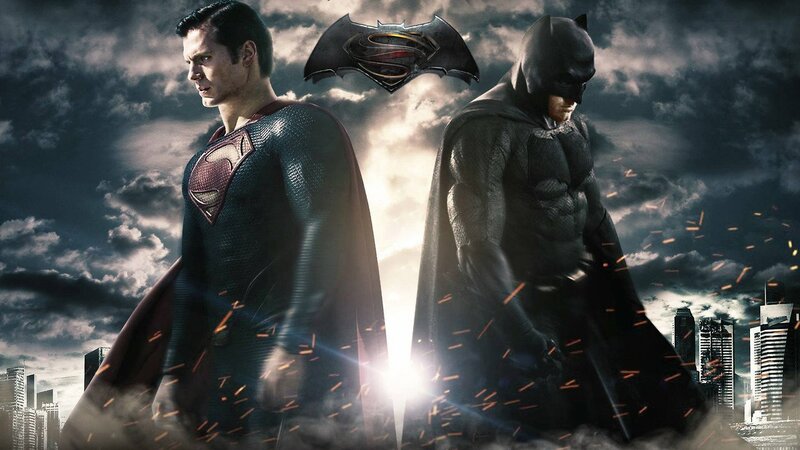 Considering Batman and Superman are two of the most iconic comic book heroes to date, this film doesn’t pay homage to them, but results in an embarrassing representation of the two. Fancy seeing Batman at his best? Watch the 1989 classic, or The Dark Knight, you won’t regret it. As for Superman, the classics are your best bet. Don’t waste your precious money on this, it’s merely an avalanche of CGI. out, then they should be truly ashamed of dumbing down their output to this extent. Not only is this a dull remake, it makes for an uninspired mess. The second it begins, you will beg for it to finish, and not in a good way. Now, I’m interested to hear which films disappointed you the most? Let me know in the comments section, below! Great list! Fortunately, I haven’t seen all of these, and while enjoyed them for what they were, I’ll agree that Tarzan and The BFG were quite underwhelming. I particularly hated Gods of Egypt, Shut In, and 31 the most this year. All of ’em are just garbage! Thanks Brett! Think yourself as very lucky not to have wasted hours on these travesties! Oh, I haven’t seen 31, or Shut in? I imagine it’s good that I missed them. I walked out on Gods of Egypt, never felt so humiliated by the poor quality of a film (I’d usually always stay throughout the duration). Agreed about the BFG for sure. Thought Fantastic Beasts and Jungle Book were both fine enough. Worst films for me were Anomalisa and Sausage Party, as well as Mothers’ Day but that one was panned anyway. The BFG was definitely a pointless remake, given that the TV movie was a job well done. Oh wow, you disliked Anomalisa? I found it to be quite an interesting character study, as depressing as it was. Sausage Party was bad, I agree. I didn’t even consider watching Mother’s Day as it screamed humiliation from the onset of the trailer! Thanks for commenting your thoughts! Awww I liked the Jungle Book and Fantastic Beasts. I would put London has Fallen, Independence Day Resurgence and Divergent 3 Insurgent on the list. Oh definitely, London has Fallen would have made my list if I had named more than ten! The Divergent series is equally as embarrassing. Thanks for sharing! Thank god I’ve managed to avoid everything on this list except for BvS and Jungle Book. Really enjoyed Jungle Book and the original is a childhood favourite but the rest of the list looks like films that I would have put on my list if I had seen them haha! Oh that’s interesting, so you enjoyed the remake, even though the original is a favourite? Personally, I liked the original a lot too, and felt it shouldn’t have been messed with. Thanks for sharing your thoughts! The original is my favourite animated film of all time! On my first viewing of the remake I enjoyed it but some changes irritated me (I missed the speaking elephants) but when I watched it again at home I absolutely loved it. Certainly not as good as the original still but I thought it was a worthy remake. The Jungle Book made the list? Interesting. Yes, I have developed a strong disagreement towards Disney live-action remakes. Why remake the beloved classics into mediocre movies just to gain a larger audience, and more dosh? It’s not ‘new’, and is problematic. Audiences are only going to settle for less, and weaker output is released as a result. The industry should be striving for much more! Oh, I’m with you on that: in principle, I too am against these remakes! I’m quite outspokenly anti-remake! Even though I did think The Jungle Book was a well-made film, I still wasn’t dying for this to exist and am against the idea in principle. Oh no! I liked both The Jungle Book and Fantastic Beasts, but I also went into both of them with low expectations. I went in with low expectations too, but I don’t feel the industry should be striving for films as poor as this! Always fun to see these lists! We definitely differ on the comic films, but I am glad to see a film like Dirty Grandpa here. I haven’t seen it, but it would definitely make the list if I had. I haven’t really seen any other bad films this year so clearly I haven’t seen enough yet. I’ll probably have more of a complete list by the end of this year since most of these films will be on DVD by then. I completely agree with your choices, but surprised that you didn’t enjoy Miss Peregreine! I really liked the Burton quirky touch it had. Suicide Squad was a mess. I look forward to hearing your thoughts, keep me updated! Will do 🙂 I did enjoy Miss Peregreine for the most part, but I just thought that some of the scenes were a little too grotesque. The plucking out the eyeballs part was not meant to be violent or anything, but it just looked so painful each time. I did enjoy the actual plot though and hopefully it gets a sequel to adapt the next book. 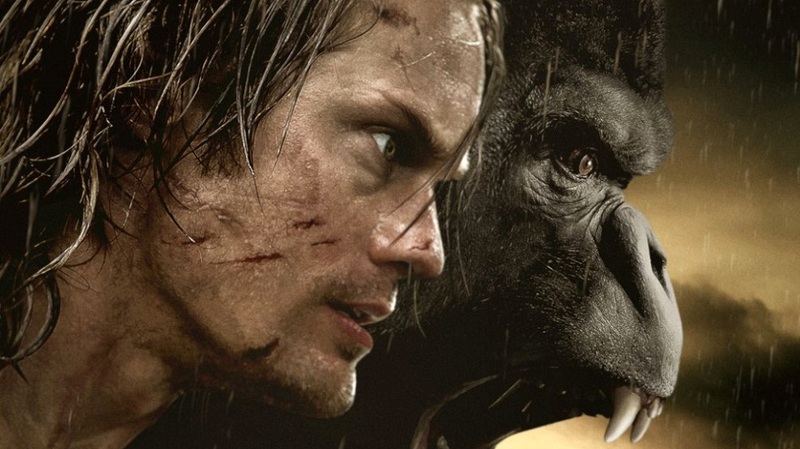 I have to point out one detail about The Legend of Tarzan: it’s actually not a Disney film. It’s released by Warner Bros. Pictures. I agree the live-action remakes from Disney are (mostly) not the best, but Legend of Tarzan is not one of them, technically. Just saying, otherwise I agree with the list. I know, The Jungle Book is Disney, whilst Tarzan’s live action is based on the Disney film. Thanks for the shout though! I was reading your list and got to Jungle Book and I thought “No way – Tarzan was waaay worse…” Then I laughed when I saw it at #1. It was so forgettable it didn’t even make most Top 10 worst lists. Ha ha! Exactly, very well said. Thanks for reading!